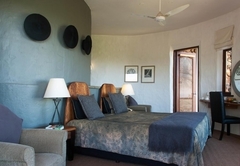 Isandlwana Lodge is a highly recommended Isandlwana hotel providing accommodation in 12 guest rooms for tourists visiting the Battlefields region. 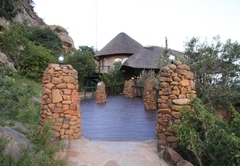 The Lodge is built on the side of the iNyoni rock formation on top of which the Zulu commander stood during the battle of Isandlwana on 22 January 1879. 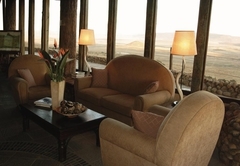 Enjoy unparalleled views from the crisp early light of a sparkling Zulu dawn to the splendour of the African sunset. 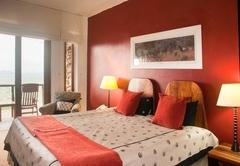 Isandlwana Lodge offers twelve luxury rooms all en-suite and tastefully decorated in a mixture of traditional and modern styles. Unwind in our pool built among the rocks after a day on the battlefields. Enjoy the peaceful atmosphere of the library where you can hone up on your history. 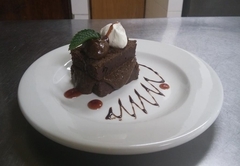 Make new friends in the pleasant surroundings of our lounge and allow our specialist chef to provide you with some of the best food in KwaZulu-Natal or just relax on your private balcony. 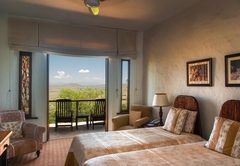 All rooms face the historic and scenically beautiful Isandlwana plain with a view of the mountain. 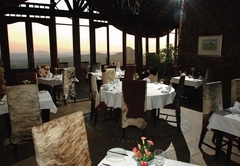 Isandlwana Lodge is the ideal location for executive conferences or team-building getaways, where groups can benefit from our unique concepts, developed and built around the battles by our historian, Rob Gerrard, author and Fellow of the Royal Geographical Society. 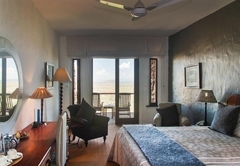 Isandlwana Lodge has a comfortably furnished guesthouse that is divided into two units. One has two bedrooms, a large lounge and kitchen, with a full bath. The other has a combined sitting/bedroom, and a small kitchen with a full bath. 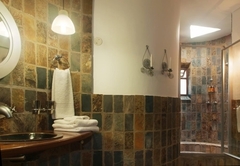 Both offer self-catering and can be rented as one unit. 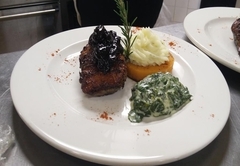 Reservations for meals will be taken by the lodge, if possible. 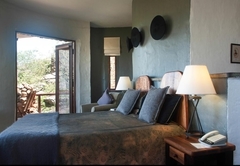 This property is ideal for families with children since the lodge does not take children under the age of 7 years. 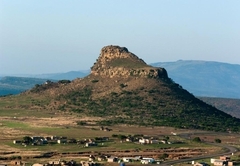 Join resident historian, Rob Gerrard on battlefield tours and be enthralled by this powerful story, and by intriguing tales of Kings and Generals, warriors and soldiers who fought at Isandlwana. Flagship tours are Isandlwana and Rorke’s Drift. Tours of other Anglo-Zulu and Anglo Boer war sites should be booked in advance. 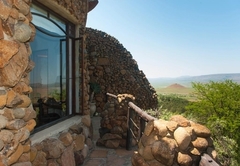 Day trips to the nearby sites including interesting areas such as Ncome (Blood River) Battlefield; Talana Museum and the Prince Imperial Monument. 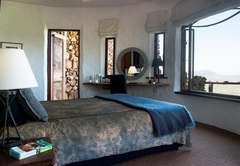 Isandlwana Lodge is within comfortable driving distance of several of South Africa’s most spectacular game reserves, enabling guests to combine enjoyment of Zululand’s rich wildlife heritage as well as the living history of the battlefields. 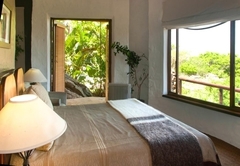 Visit the infamous Umfolozi and Hluhluwe Game Reserves as well as the superb Mkhuze Game Reserve. Ride as far as the eye can see with no fence or boundary is a rare treat to most. 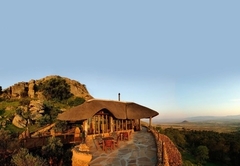 As one savors the experience, it is easy to imagine the creak of ox wagons, the crack of rifles, the chant of warriors and the smells of gunpowder, leather and smoky bivouacs under the vast African sky. This is an outsourced activity and booking is available on request. 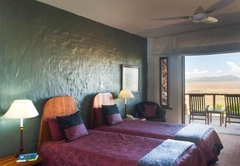 You may walk through the Isandlwana Historic Reserve where you will see various birds and game such as Impala and Zebra. In certain parts, you may find cairns (piles of white stones) which mark mass graves of British soldiers who fought and died at Isandlwana. This walk is approximately 3 hours and should be taken only by the physically fit. It is a must for those really interested in the Battle of Isandlwana. At times, in the summer months, one will have to swim the Buffalo River. Other times, it is possible to skip across on the rocks. 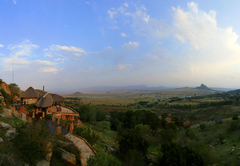 There are over 300 species of birds which may be seen in the region of Isandlwana during the year. 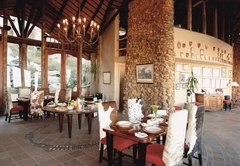 In the immediate area of the Lodge, there are over 70 species. 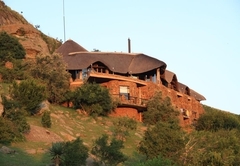 There are a number of trips one can take on one’s own which are within easy driving distance of Isandlwana Lodge. This is the spot where Chelmsford was having tea when the Zulus attacked the camp at Isandlwana. During the winter months there is very little water, but the gorge is beautiful. 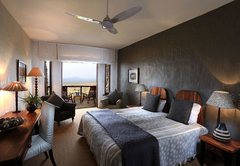 The surrounding area offers some of the most magnificent scenery in Zululand. In late afternoon, the Cape Bald Ibis come to roost on the rocks. It is about a twenty minute drive from the Lodge. Journey to the spot where the Prince Imperial was killed during the Anglo Zulu War. The Prince was the last of the Bonaparte line and the only child of Empress Eugenie who was broken-hearted at the death of her son. 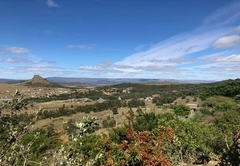 Known as the finest museum in KwaZulu Natal, Talana is located on the outskirts of Dundee at the site of the first battle of the Second Anglo Boer War. Outstanding lodge! 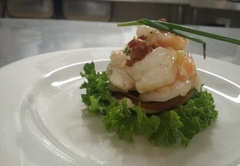 we had a great experience. Child policyChildren over the age of 7 are welcome at the Lodge, and children over the age of 12 are accommodated on tours.